Here is just one of our memories from our trip to Alaska this summer. This is a view of Mt. McKinley from the south. 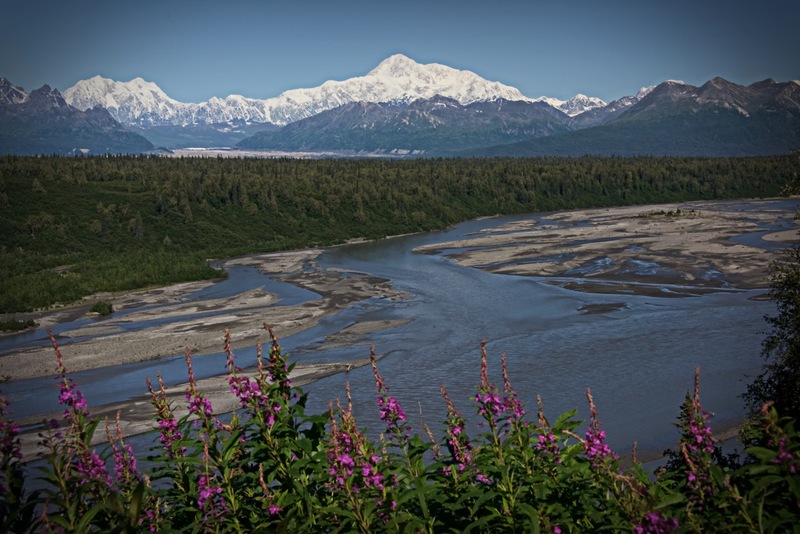 Fireweed and a braided river in the foreground with several forests in view. We had a great time on our trip. Went several places we missed on our trip in 2011. Kennicott mining town, Wrangell mountains, the town of Chicken and got to visit with our good friends in Soldotna. This image has been posted on our Web site, www.OzarksPhotos.com along with others from our trip. We still have several to look at and post there. Hopefully over the next several days. Good health to everyone. Should you think you may be having a heart attack don’t mess around. Get to the ER, the earlier they get to work on you the more likelihood of limiting significant and lasting damage!